Prince. Prodigy. Mage. Perfect for fans of Throne of Glass, Falling Kingdoms, and Tamora Pierce. This prequel novella is set before the events of First Year (The Black Mage Book 1), following Prince Darren as a child through adolescence and his first run-in with Ryiah at the Academy of Magic. Listeners discover the dark backstory between the two princes and their father, as well as the ensuing events that shaped Darren into the Academy's most illustrious mage. 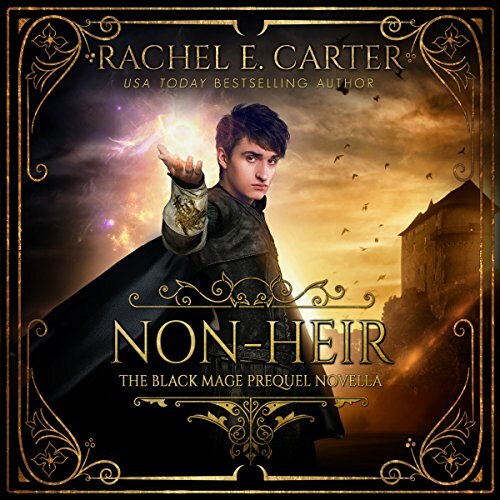 The prequel novella to The Black Mage series by USA Today best-selling author Rachel E. Carter. Want to read the ebook version of this novella for free? Visit author's website and sign up for her newsletter. I'm not one for audible books as all too many sound almost corny. This narration however was very well done! Pavi Proczko delivered a fantastic rendition of a great book. The narration was smooth and flowed well. While he did attempt various voices, he succeeded where​ most fail. I would highly recommend this reading to someone interested in Rachel E. Carter's Black Mage series!